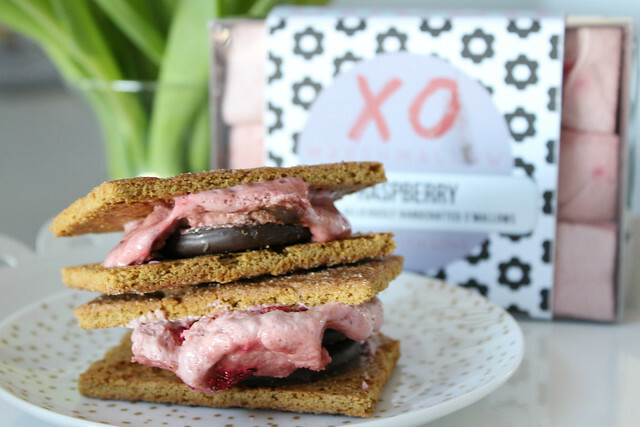 The Trendy Sparrow: Raspberry Marshmallow and Thin Mint S'mores + A Big Announcement! 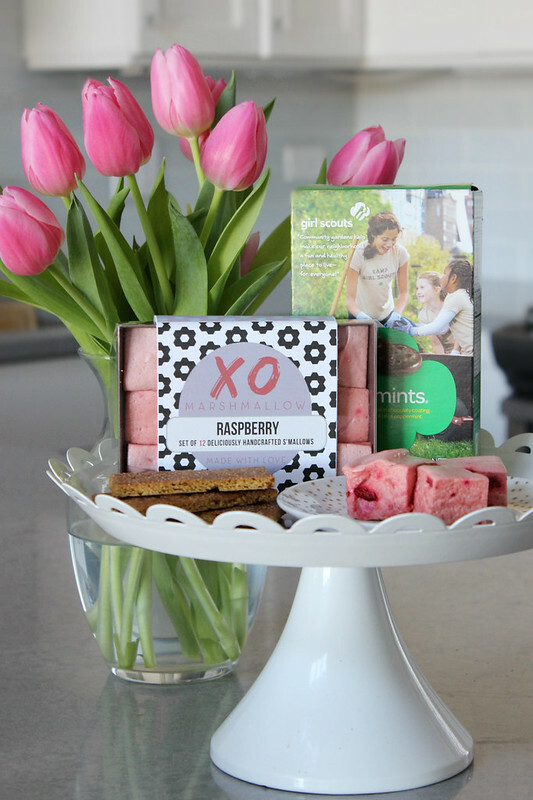 Raspberry Marshmallow and Thin Mint S'mores + A Big Announcement! Woah...so today I am sharing a rare food related post. I'm not a chef by any means. I tend to order out more than I actually cook, but I can whip up an easy and delicious treat every now and then. Especially, if it's dessert related. But this post is incredibly special for more than just the fact that I never cook. Many of you already know that I own an online ship called The Trendy Sparrow. However, I recently became a partner in a second business...XOMarshmallow! And our online shop launches today! 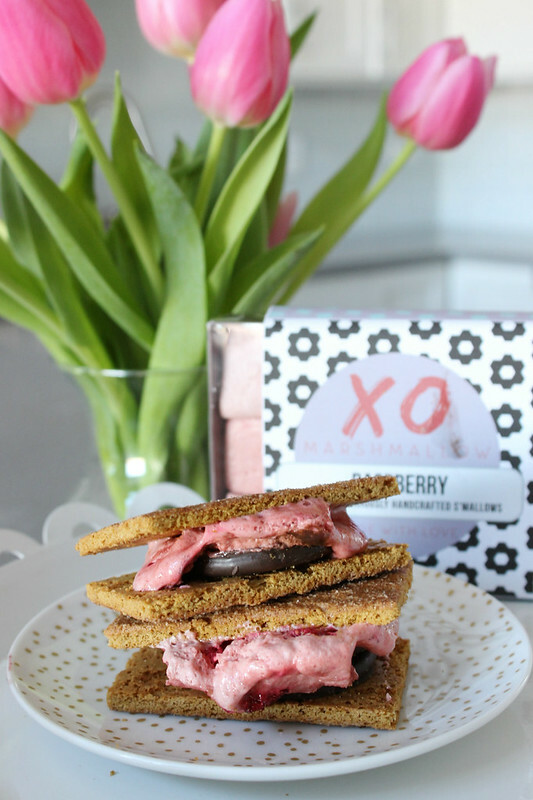 XOMarshmallow is a gourmet handmade marshmallow company designed to bring the fun nostalgia of roasting marshmallows to make s'mores or enjoying them with your hot cocoa into the 21st century with some new and exciting flavors! It was founded by my friend (and now business partner) Kat Connor, and we are excited to begin this amazing new business journey together! Swing by our online shop today and use promo code MADEWITHLOVE for 20% off your entire order! 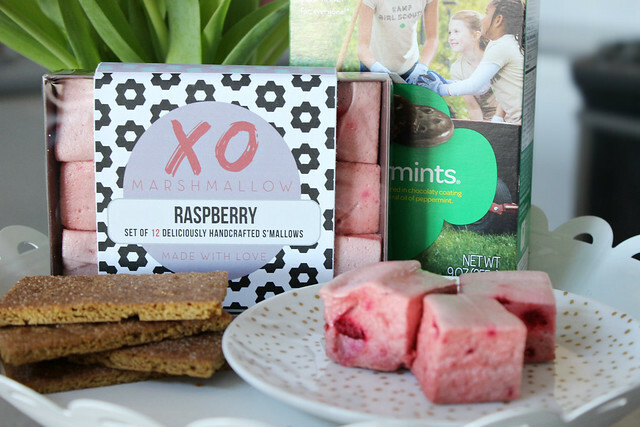 In honor of today's big announcement, I wanted to share a recipe using some of our delicious mallows today! So here is my raspberry marshmallow and Girl Scouts Thin Mints s'more! Click read more for the full details and recipe! Roasting the marshmallows helps to give them that vintage "toasted" taste that you got growing up roasting them on a campfire. I stuck a couple on a fork and held/rotated them over the stove top burners on medium heat. 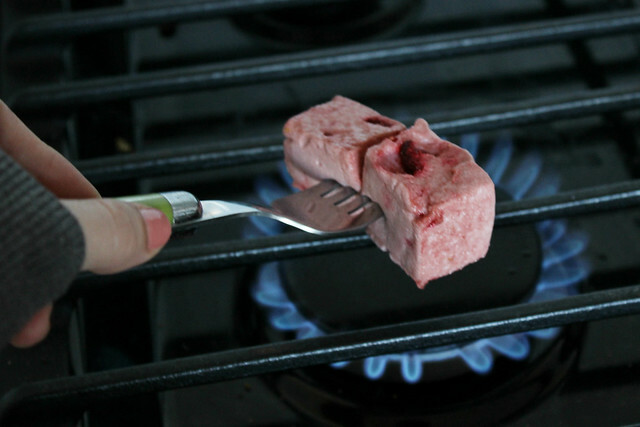 It's incredibly important for you to not actually touch the flame to the marshmallows if you use the stove! The rest of the treat is simple. Layer a Thin Mint on top of a gram cracker, add the marshmallow, and smush them all together! Nothing says the perfect s'more like ooey gooey! Now get ready to enjoy an incredibly yummy treat! 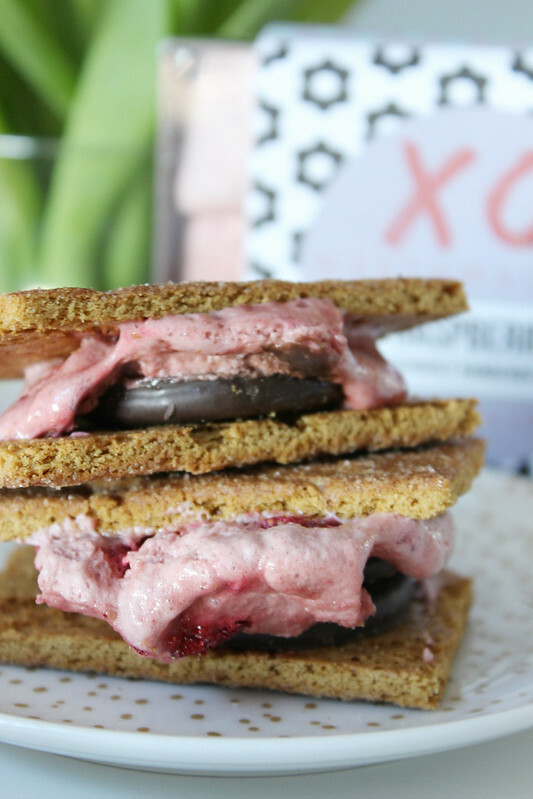 I absolutely love this interesting spin on the traditional s'more, and the flavor the raspberry, mint, & chocolate creates is refreshing and delicious! 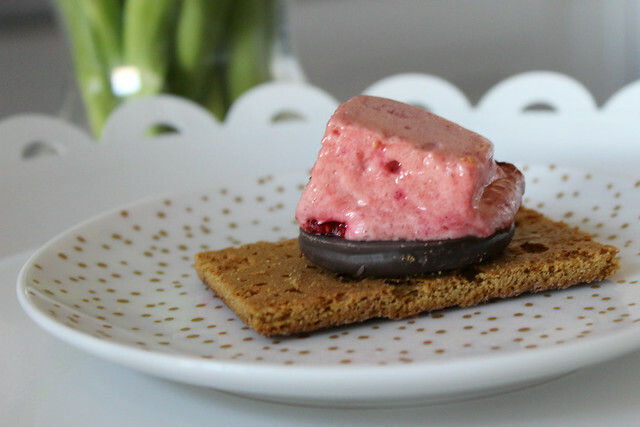 But of course, what makes the s'more the best ever is knowing that the raspberry marshmallows were handmade with love!